"Hi-Is there anyone out there using Parallels Desktop? I am having trouble with my Sound settings for Input and Output. I can see it is re..."
"Thank you so much Nicole. I think I needed more fine tuning in the duration field. I appreciate your response!" "Hi Doug- Thank you for the quick reply. Yeah, I see it in Storyline 1. 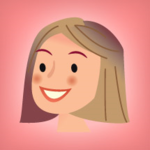 But I am working in Storyline 2 and the ribbon is a little differe..."
"My name is Susan Kelly. I have been a graphic designer for 20 years and recently migrated into Instructional Design. I have expert level ..."
Susan Kelly replied to the discussion Are You Interested in Local Articulate User Groups? "Wow, yes! How about one in San Francisco?" "Hi all- In the learning example referenced above, on he first slide, can anyone tell me how the author was able to animate the subhead a..."
"Emily you are awesome. Thank you. I will do this and let you know if it works! " "Thank you Emily! I have upgraded to Storyline 2 and it is still asking me that question. : ("
"I am a newbie to ID but doing ok. The hard part is working in Parallels as I am a Mac person mucking my way through the Windows environme..."
"Hi Emily- Yes, thank-you. I felt desperation yesterday. lol Are you a Parallels user?" "Is anyone out there using Parallels for Mac? Thanks!" "Hello- Please forgive my ignorance as I start asking questions. I am a total newbie with Storyline. Here is my problem and I thank everyo..."